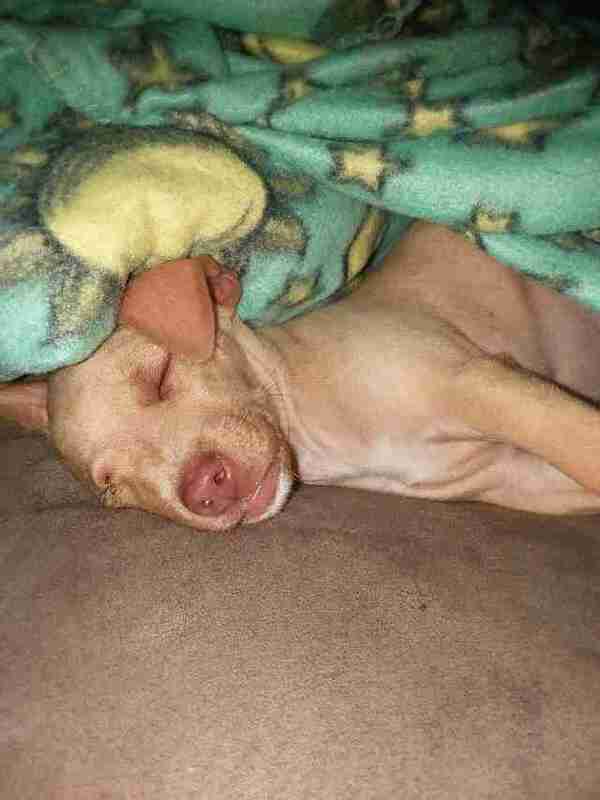 Thor the Chihuahua is everything you’d expect from an 8-week-old puppy: he’s curious, loves to eat, and especially enjoys cuddle time and playing with his new foster sister. But just last week, his life was completely different. Last Tuesday night, animal control officers in Dickinson, Texas, responded to a call about a garbage bag lying on the side of the road — and it looked like something was moving inside. When they opened it up, tiny, 3-pound Thor looked up at them. He was completely covered in fleas and blood. 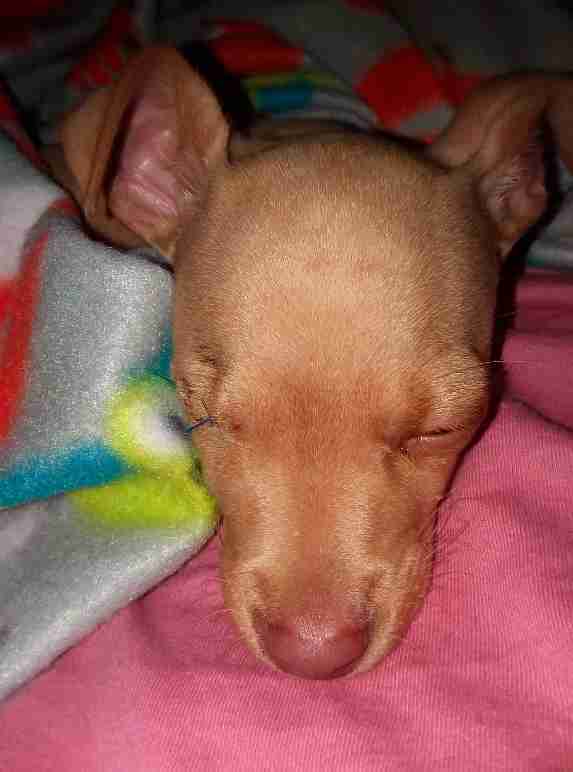 His right eye was dislocated from its socket and he was shivering from the cold. Even though he was wearing a collar and seemed to have had an owner at one point, it was obvious someone had dumped him there. 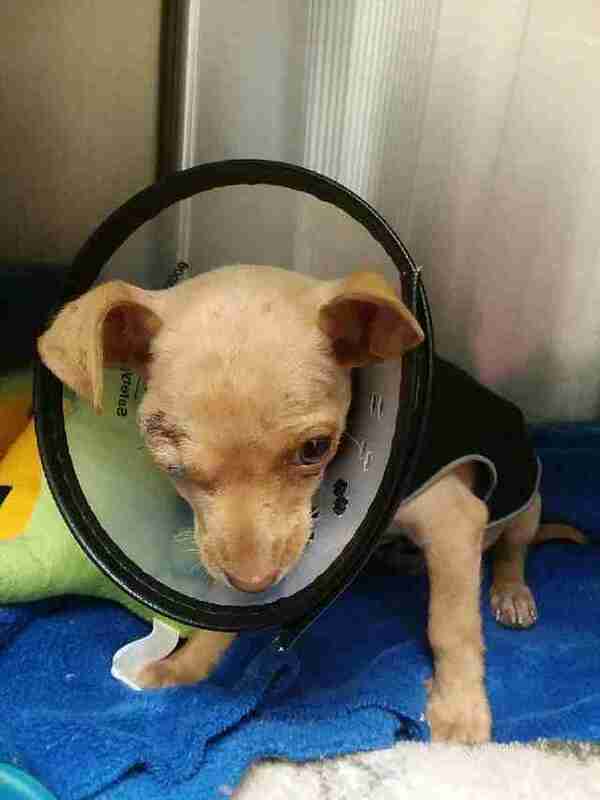 The officers rushed the puppy to Animal Kingdom Pet Hospital and stabilized him right away — but his right eye was so badly infected that vets knew it needed to be removed. 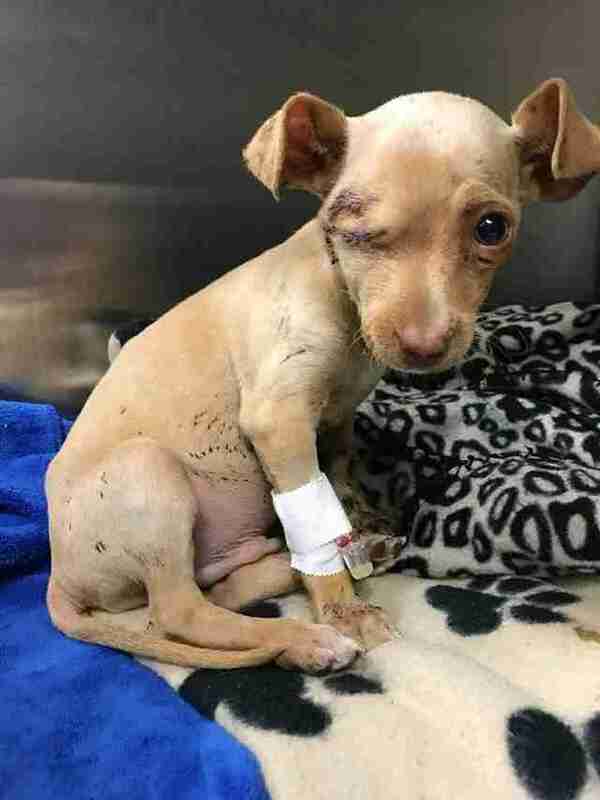 While no one knows how his eye got so injured, puncture wounds on his tiny body mean it’s likely he was attacked by another dog. Thor, who is only 8 weeks old, was rescued just in time. At his age, it’s likely he wouldn’t have survived another night alone inside the bag, Smith said. In recovery, Smith got to spend some time with Thor and he instantly captured her heart. Smith decided to bring him home with her so he could have a comfortable place to heal and to help out the local shelter, Bayou Animal Services, which offered to pay for his care. “The shelter has already been stretched thin with so many pet surrenders this holiday season, so I knew it would be better for him to recover in a home,” Smith said. It didn’t take long before she noticed just how desperate for love the little dog was. At any given moment, Thor is on his foster mom’s trail — waiting for her to sit down so he can cuddle up with her. With plenty of fuzzy blankets to keep him warm, Thor gets his fair share of snuggle time and naps. 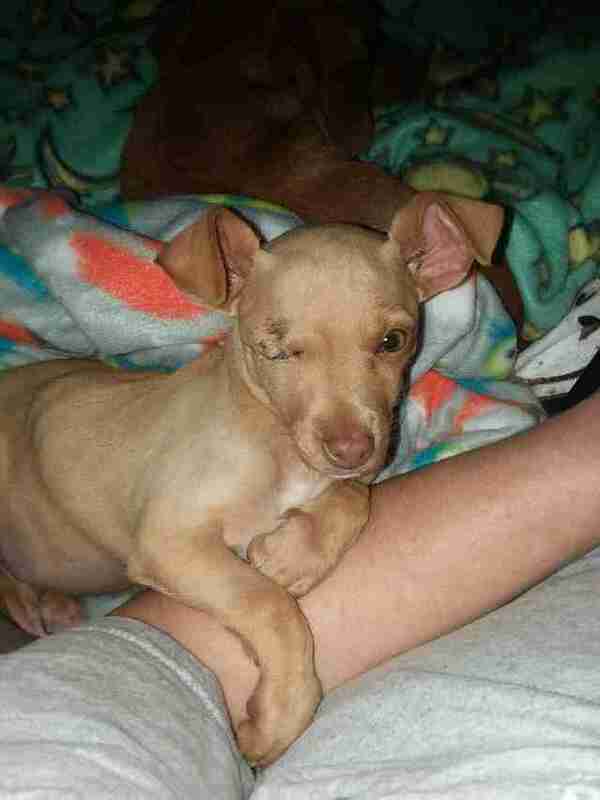 Despite his rocky start in life, Thor is recovering well from his surgery and under treatment for multiple parasites. Since he is so young, he’s adapting to life with one eye quickly and it doesn’t seem to faze him, Smith said. The stitches across his eyelid will be removed within the next few weeks and he’ll continue receiving his puppy vaccines as he gets older. Smith expects he will be ready for a forever home sometime after the New Year. But for now, he isn’t leaving his foster mom’s side — or his fuzzy blankets, for that matter. “Thor is sleeping soundly tonight with not a care in the world,” Smith said. “He really is the perfect little puppy." To support the ongoing care of Thor, you can make a donation to Bayou Animal Services. If you’re interested in adopting him when he’s ready, you can contact the shelter.